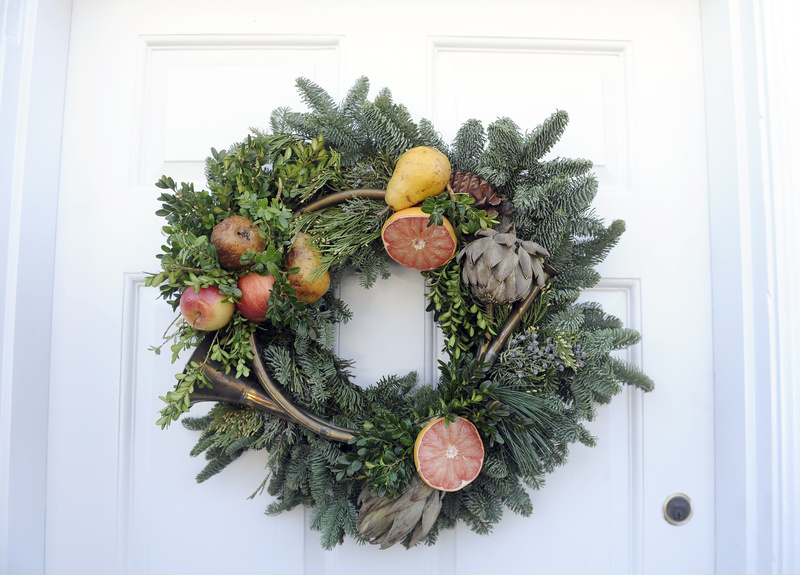 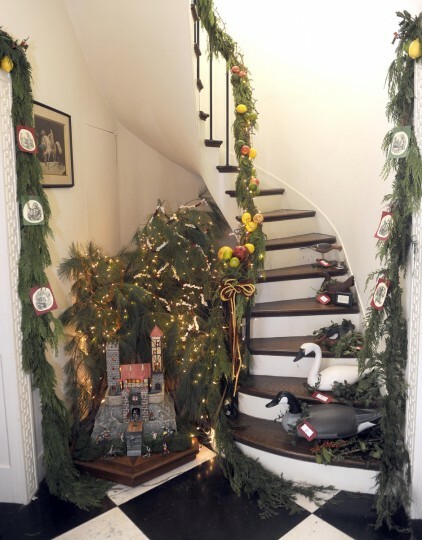 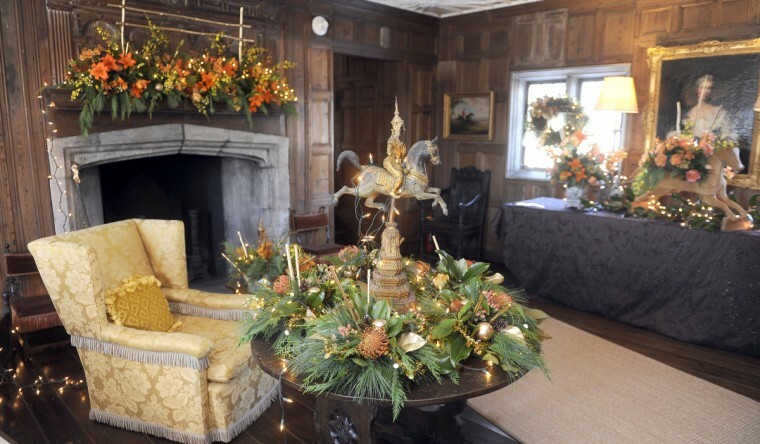 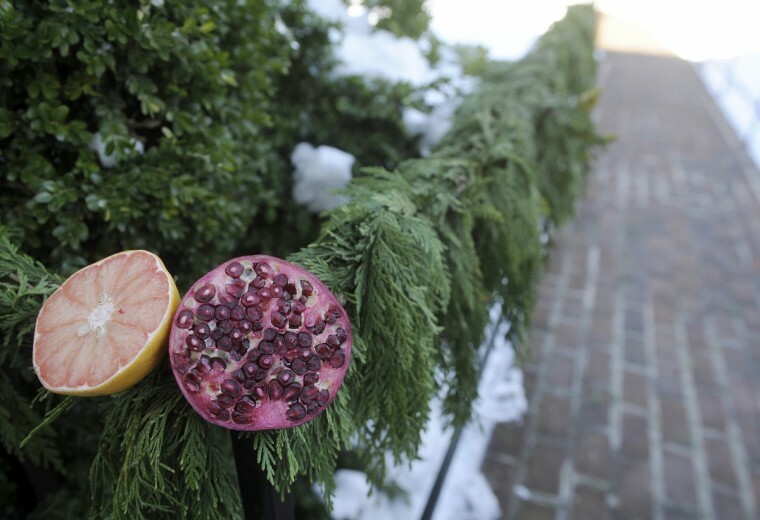 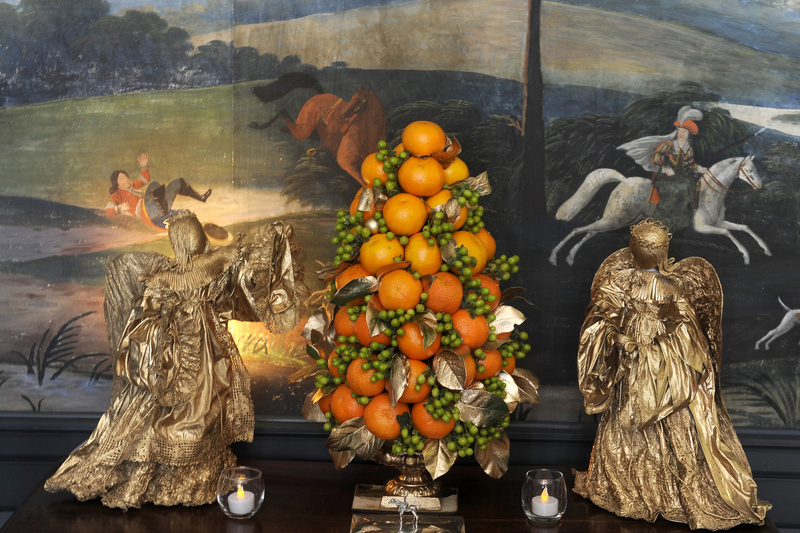 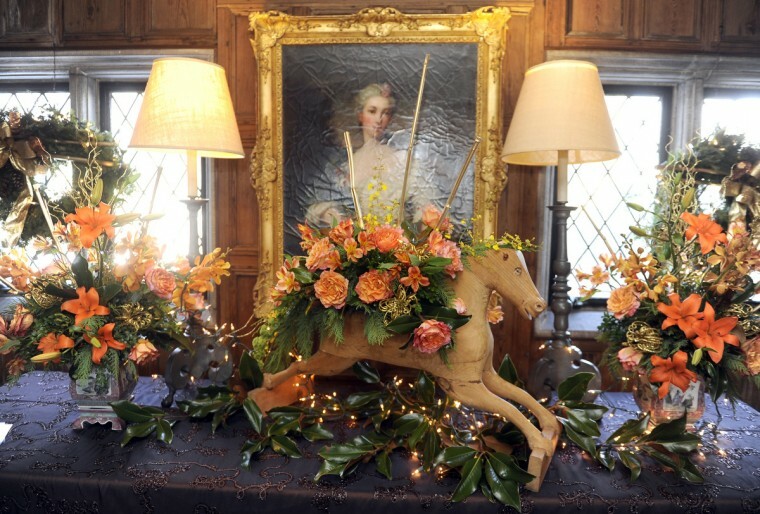 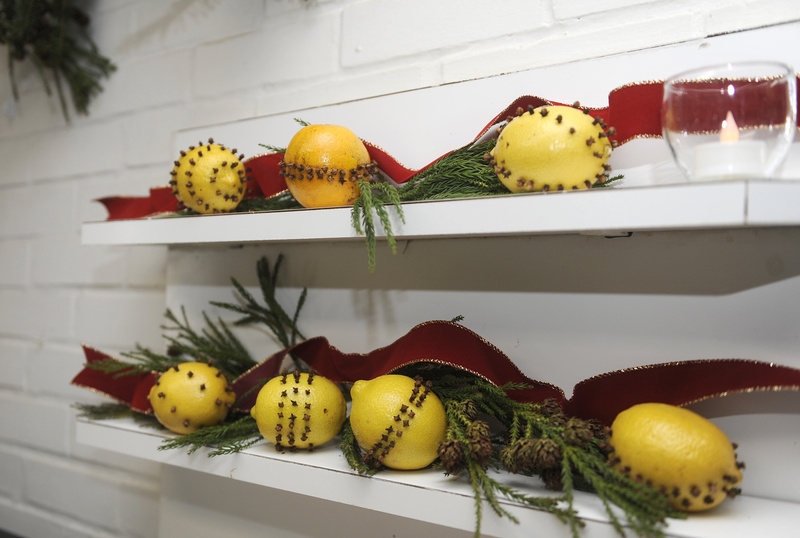 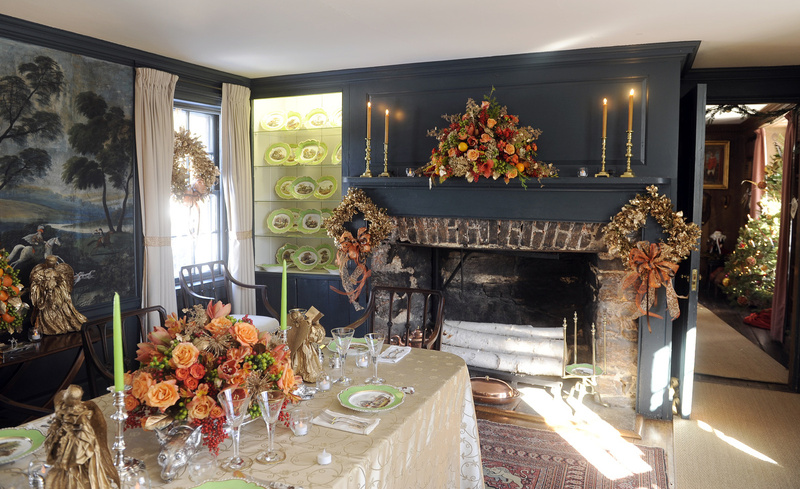 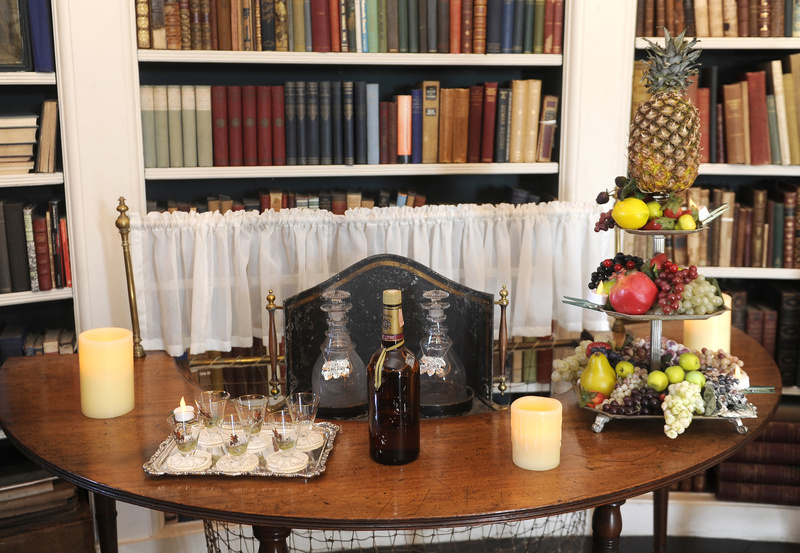 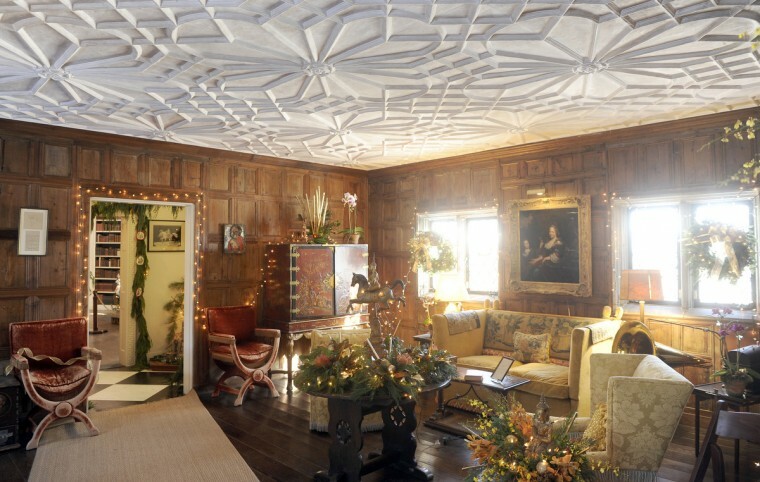 The Elizabethan Room, decorated by Jeanne Graham of Blue Sage, featured elaborated floral treatments, Christmas lights and evergreen garland. 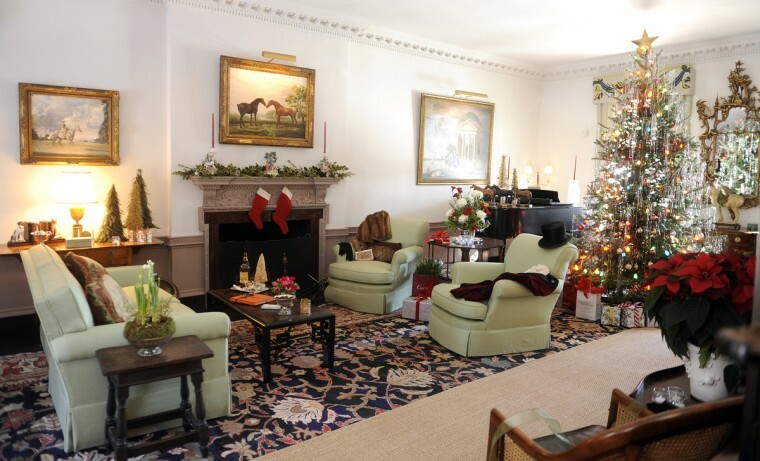 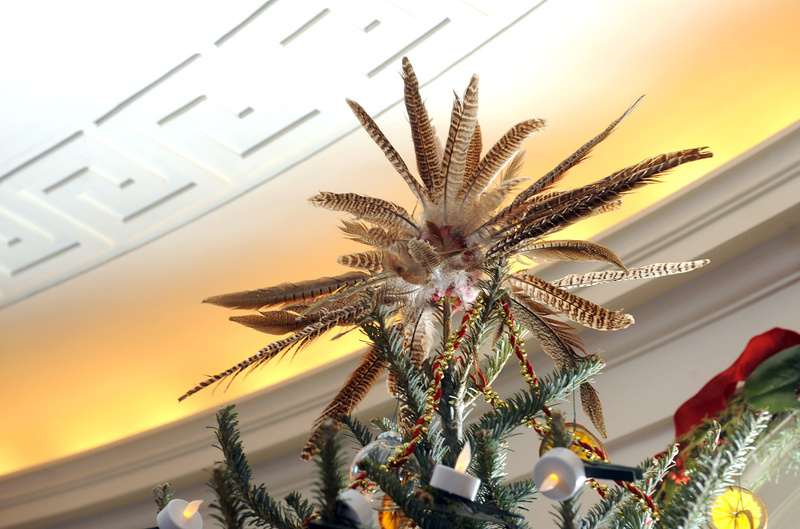 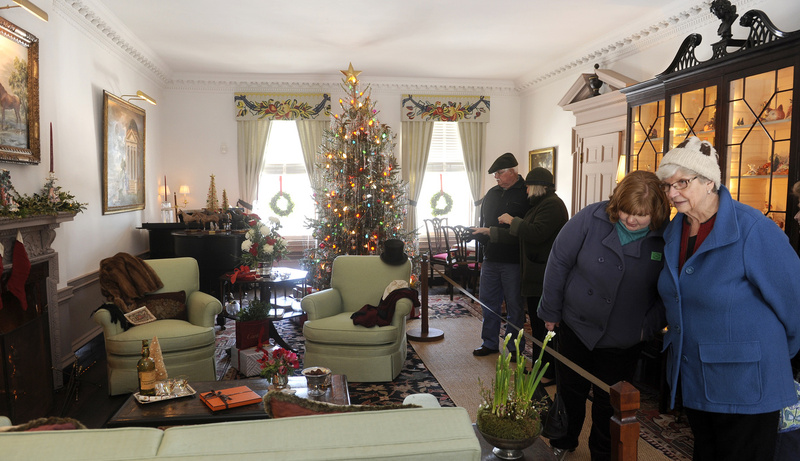 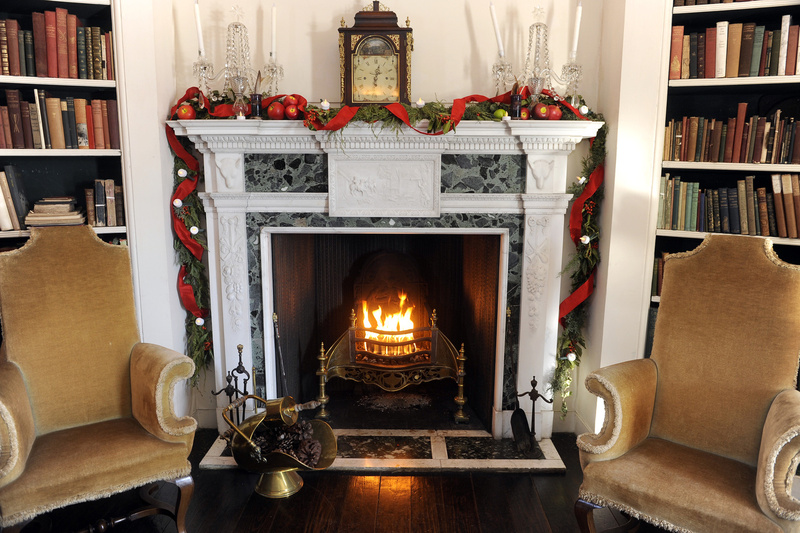 Mason’s Crew decorated the drawing room in a 1940’s style with old fashion tinsel hanging from a Christmas tree as part of their topical approach. 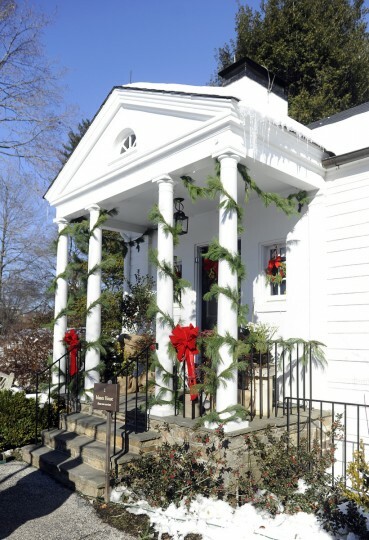 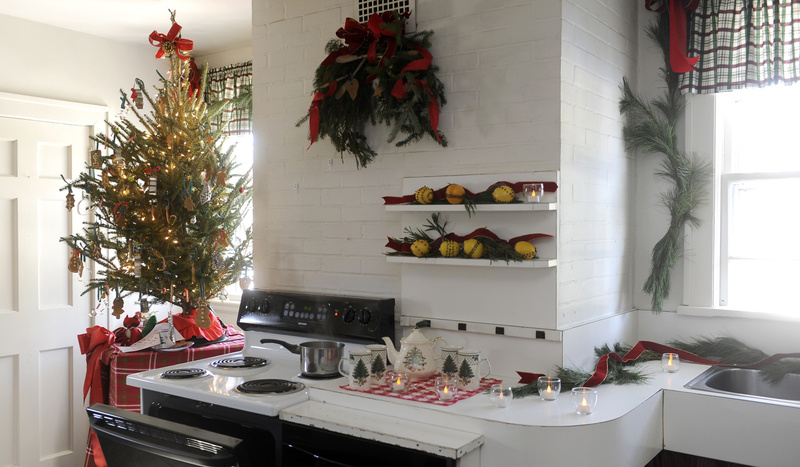 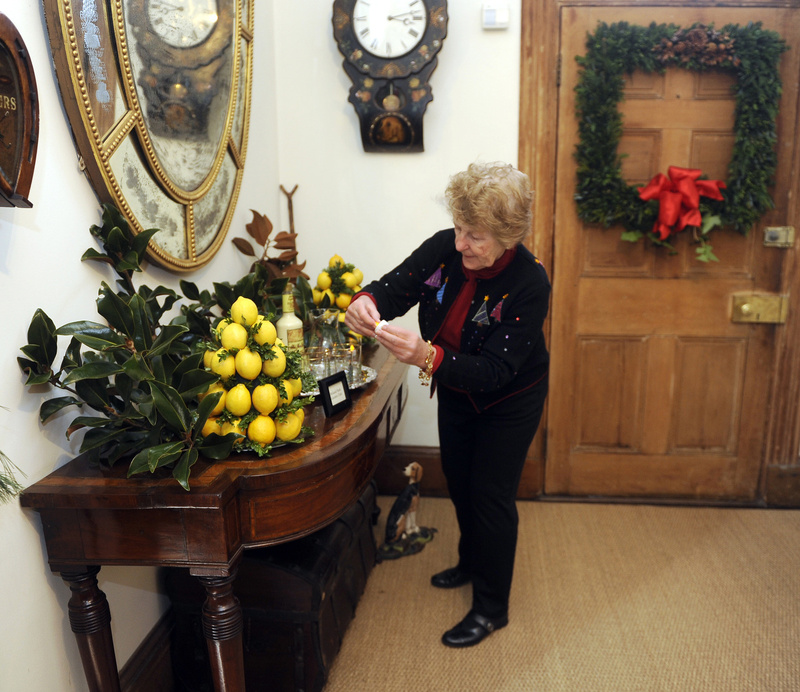 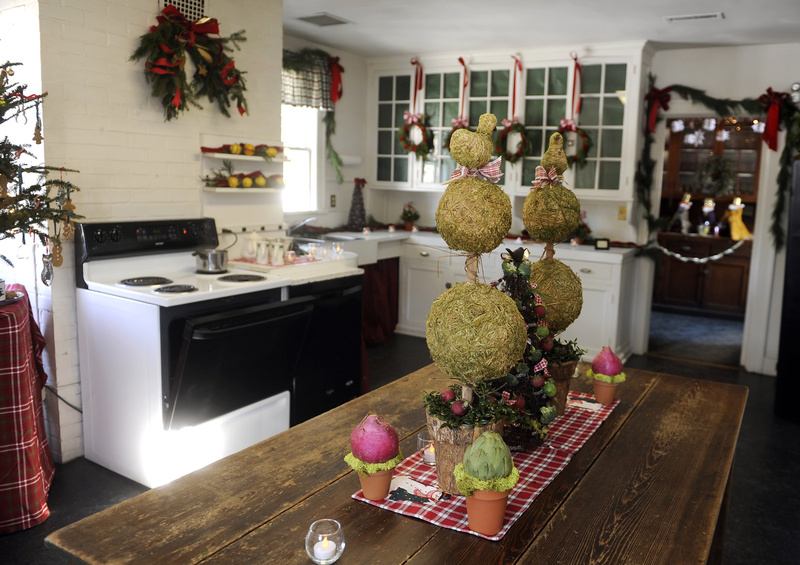 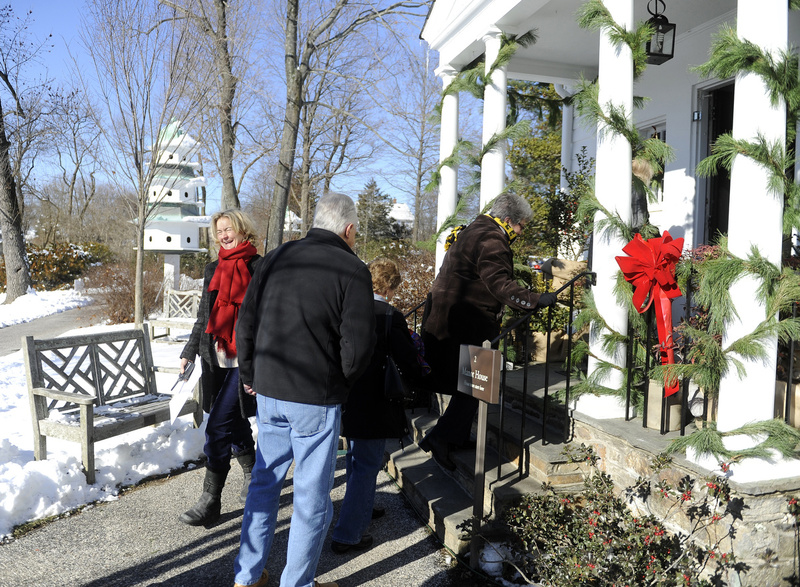 The kitchen, decorated by the St. George’s Garden Club, featured a topiary centerpiece on the table. 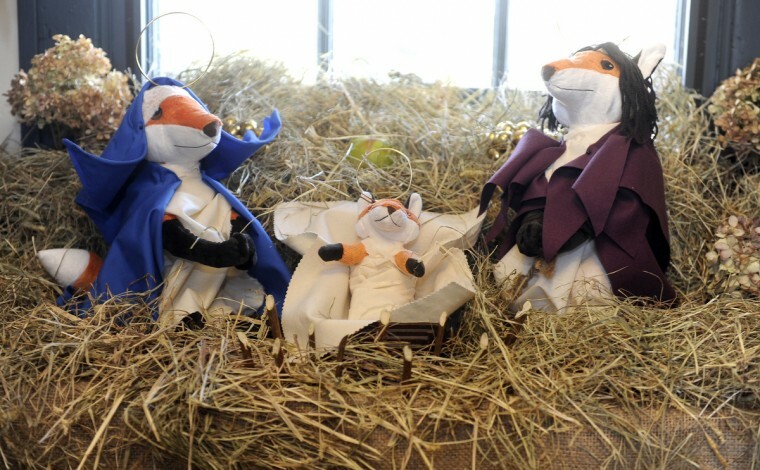 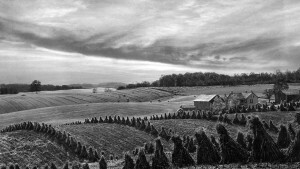 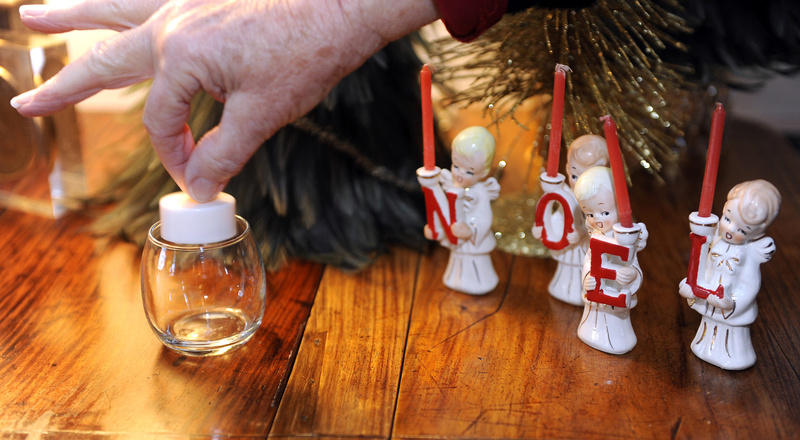 Love the fox manger scene….is that one of a kind or are there some for sale?